Thank you for stopping in to learn more about our unique and delicious gourmet coffees, teas, cocoa and active fruity blends that are infused with healthy herbs which we’ve now added to our HPP business and offerings. We are also collaborating with other entrepreneurs in an unprecedented business opportunity to build financial freedom to help families win back time. Click here to read about our journey to UpLevel our HPP business to Make A Difference in the lives of people throughout the world. We have worked six days a week, 52 weeks of every year for 22+ years, and we have succeeded in HPP with tremendous – multi-six figure income years – and yet, we – maybe just like you – have not enjoyed time freedom that long term financial security from our life’s work is meant to bring. So when a business colleague called to show me how I could incorporate Javita into my life’s work, it was truly an answer to our prayers from many important standpoints. Because of this, I am so please to now be able to offer products within the foundation of my existing business MakeADifference.com here at Heart Productions & Publishing that can easily and quickly help adults and children feel better so they can do better on all levels (make sure to read all of the amazing Success Stories coming in every day at each of the LINKS above). 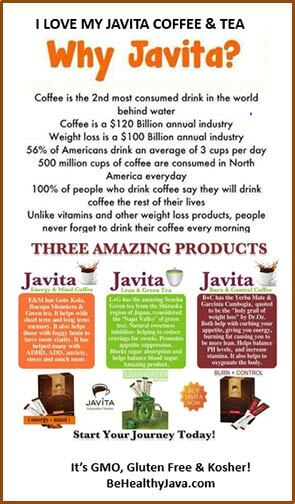 By bringing Javita’s product line into HPP we are now able to cover many health bases that people have been wanting to be able to add in an easy, relaxed manner by just adding water – we are now making a difference in the lives of so many today who just want want to feel better so they can do better managing life today. 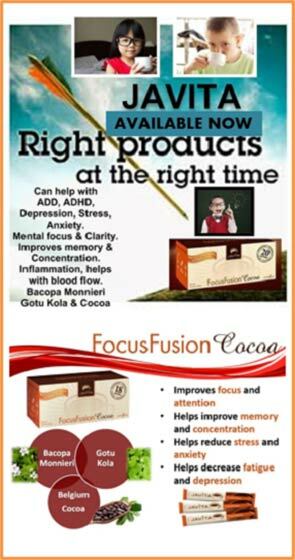 First because with Javita Energy+Mind Coffee and FocusFusion Cocoa it is SIMPLE for people to improve the quality of their lives. We can now get this kind of nutritional supplementation in the hands of so many adults and children struggling with a full range of physical and emotional experiences that are de-energizing their lives; from a daily drop in energy to a sense of personal well being. Second because our work has been so sedentary the unnecessary LBs have creeped up on us both. We’ve tried all of the newest, latest exercise equipment, diets, pills and protein powders but with Javita’s Burn+Control Coffee and Lean+Green Tea it’s been so much easier for us to remember to do because we drink coffee and tea as part of our daily routine anyway AND we feel energetically uplifted and manage ourselves around food so much better now. This year I released 14 lbs by March without getting sick. I even traveled for a speaking gig across country for a week and came home feeling very well! This is momentous for me and my health history. 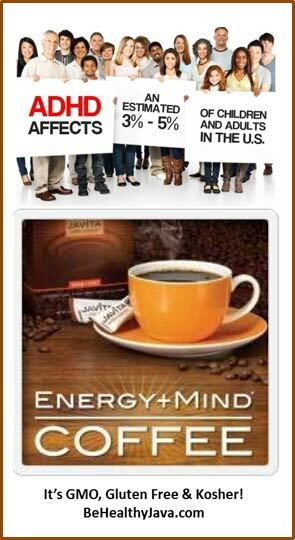 Because I’ve been enjoying these herbally infused coffees, which helps me eat and drink intuitively, I have released a total of 26 LBs in 2017 – Thank You God! I have gotten off all Estrogen medication. You can see the puffiness in my face is completely gone and I already have a healthier, lighter and leaner look. This is real progress. I now walk every day and crave whole foods more than other foods that have the potential to unbalance my mental, emotional and physical state. Craig has been able to reduce his antidepressant med by 1/3’s and has released 30 LBs by simply eating less. We are both enJOYing balanced energy while being able to remain focused with calm minds all day long. Third … NOW you can get off all those sugary drinks with our newest addition of herbally infused healthy Active Blends drinks for supporting Healthy Joints, Sustained Energy, Weight Management and Immune Support – with 3 of the 4 being caffeine free – we can simply change up what we drink to enjoy an active lifestyle. Now you and the kiddos can replace unhealthy drinks with equally delicious, naturally sweetened, satisfying, nutritionally healthy, fruit and herbally infused ActiveBlentz drinks! 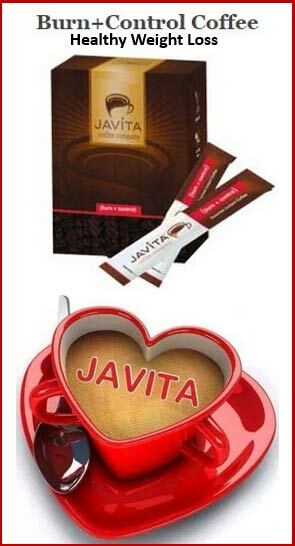 From a business standpoint Javita offers five highly consumable products with amazing – if not miraculous – health benefits with an affordable investment to become a member so anyone can get started building a limitless lucrative business part time or full time doing what you already do naturally anyway – encourage people to simply try the products for 24 days – making this an easy “can do” decision! We encourage you to try our newest additions to HPP. Click on each of the LINKS above to see which products are the right fit for you. We use 2-5 of the products throughout each and every day to meet our nutritional needs for FREE with the 3&Free plan because we’ve let our clients, customers and people we care about know about the benefits changing their coffees, tea and cocoa will bring to their lives. Got questions? Let’s do ‘virtual’ coffee! Because our Heart Productions & Publishing (HPP) business is, and always has been, Internet based we have built this website / blog that we have added into our existing business as we are actively building the Javita expansion into every imaginable industry for business builders online and locally. We are letting every one we meet about the phenomenal Financial Security and Time Freedom Javita can add to your health, life’s purpose and your livelihood. If you already have an Internet based business – like we do – you can see that you can simply add your own webpages like we’ve created if you prefer. 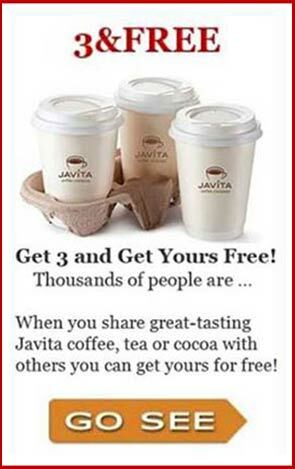 AND THE GOOD NEWS for everyone is that … When you become a Preferred Customer and/or a Javita Business Member you too will automatically receive 3 FREE websites that you can use as your tools for giving people information you’d like them to consider. Your 3 free Websites will look like the ones below that we use as our tools for all of our networking with friends, family and day-to-day business connections. When you find your clients, customers, friends and/or family asking what you are doing differently in your life because you look healthier and happier, not to mention that you are sending off a NEW CONFIDENT VIBE, then many won’t hesitate to become a Business Member and join you in making a positive difference in the lives of so many … Come work with us part time / full time to fund your dreams to enjoy a financial life you love! So, grab a cup of coffee, tea or cocoa and learn all you can about what Javita can mean for your life and then go ahead and just place your order and/or give us a call here at HPP – Heart Productions & Publishing (603-382-8848) or email us at mary@behealthyjava.com so we can answer your questions about how to get these products for free and how you can build a Plan B that replaces your Plan A! We’d love for you to join us in the never ending search for the best within ourselves as we all get healthier, happier and financially free with Javita!